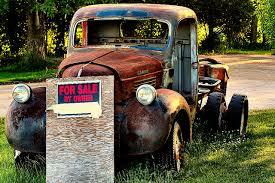 Any member who has a car or parts for sale can advertise it here for free. For best results include a photo. Ads will appear first in the MONTHLY GRIND. Contact Robyn Bushell. NOTE: If your item has been sold, please advise Robyn and Col.
​That way you will not keep getting phone calls needlessly. Suitable for small car or motorcycles.